This is a Barnhart family recipe. Thanks to my sister and DJ for sharing it with us and always bringing this tasty appetizer to our parties! Bring cream cheese to room temperature. This is very important, otherwise your dip will be lumpy! 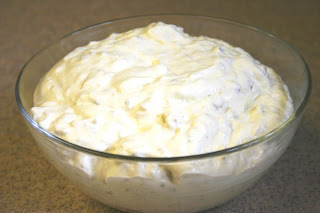 Beat cream cheese with an electric mixer until creamy. Add sour cream and chopped dill pickles. Sometimes if we are eating the dip right away we add a little pickle juice for additional flavor. A good friend of mine brought us the cutest bouquet of cake pops for Valentine's Day this year. She was in a hurry so as she was climbing in her car I yelled out the door, "how did you come up with these creations?" She said, "BAKERELLA!!!" So immediatly I went to my computer to look up this Bakerella. So cute!!! Of course my balls didn't turn out nearly as perfect as hers do, but I love the idea and there's so many ways you could decorate. I made these cake pops for London's first bday. She got a little cake of her own and then the rest of us enjoyed these little tasty treats. The recipe is really very simple, but the entire process is a little time consuming. I think it's completely worth it! 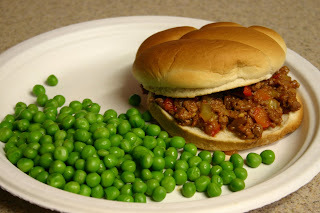 This is my mom's Sloppy Joe recipe; it's the best! I love to chop the veggies a little on the chunky side and sometimes saute them aside from the ground beef so they don't become overcooked. I like that little extra crunch in my sandwich. In a large skillet, cook ground beef, onions, celery and bell pepper over medium heat until beef is thoroughly cooked, stirring frequently. Drain. In 3 to 4 quart slow cooker, combine ground beef mixture and all remaining ingredients except buns. Mix well. Cover; cook on low setting 4 to 6 hours. Stir; spoon beef mixture into buns. Place chicken breasts in a crock pot and cook on high 4-5 hrs or low 7-8 hrs. Using a fork pull chicken apart until it is loosely shredded. Add bottle of bbq sauce and mix well. Continue heating chicken until warmed. Lightly butter hamburger buns and broil in oven until browned. 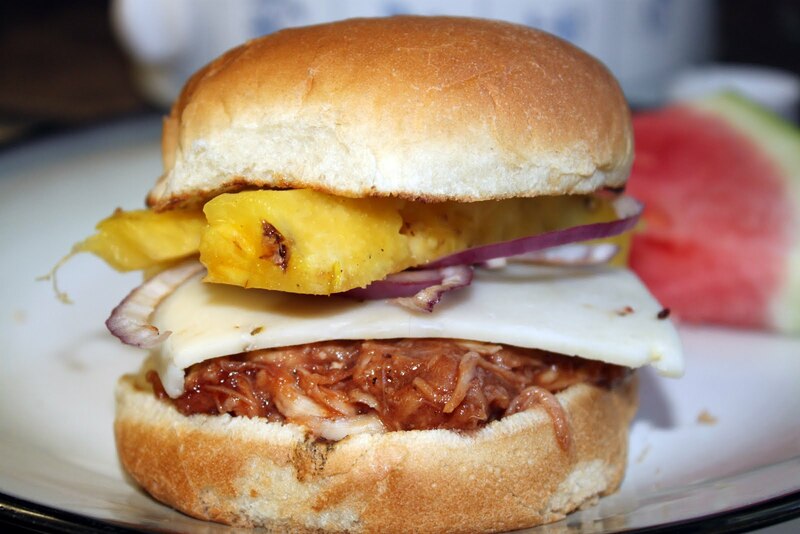 We like to fire up the grill to heat up our pineapple and get those nice little grill marks on each side but warming them up in the microwave is OK too. Assemble your chicken burger and enjoy!